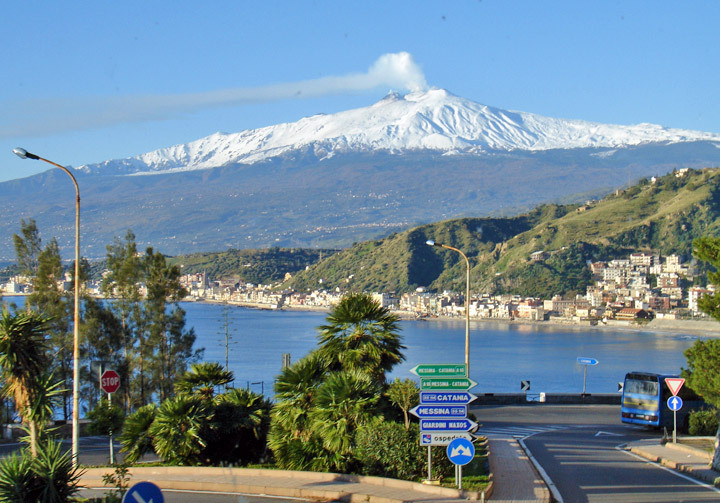 Etna, Mount (ancient Aetna), volcano, southern Italy, on the eastern coast of Sicily. 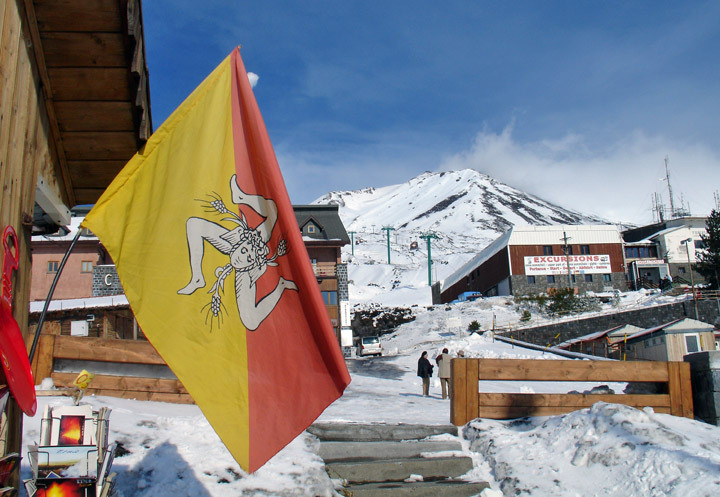 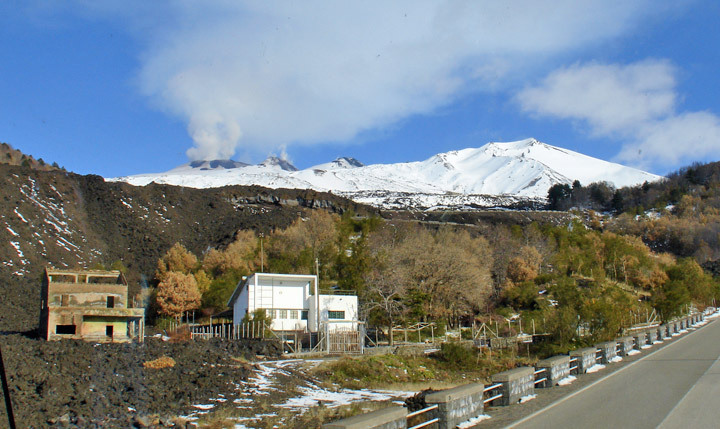 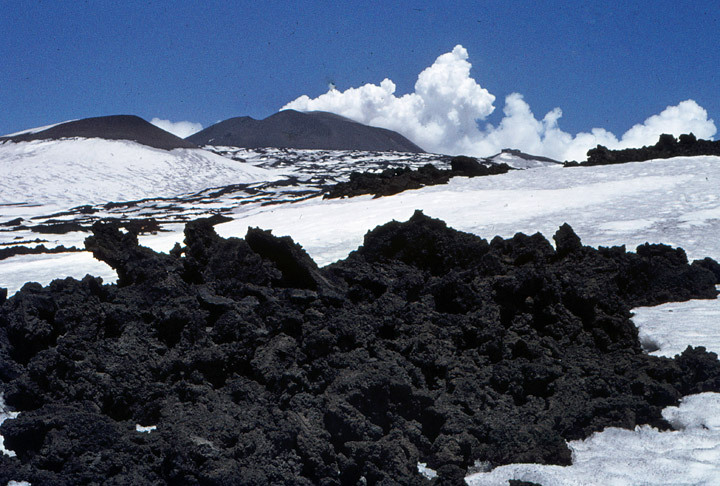 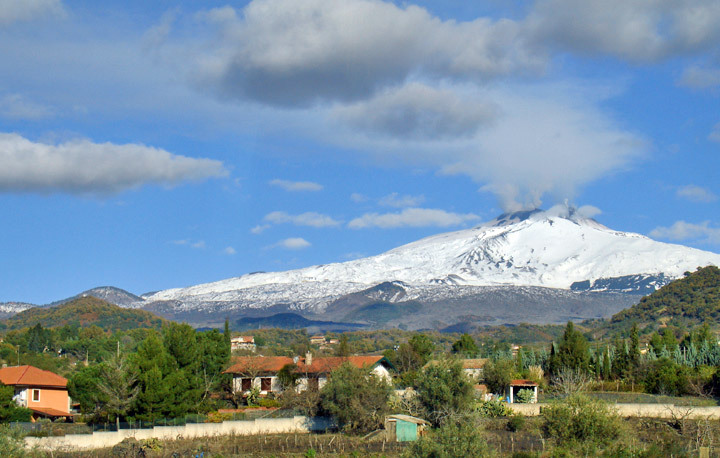 The base of Mount Etna, the highest active volcano in Europe, covers an area of 1600 sq km (620 sq mi) and its height, which changes with time, was 3,323 m (10,902 ft) in the late 1990s. 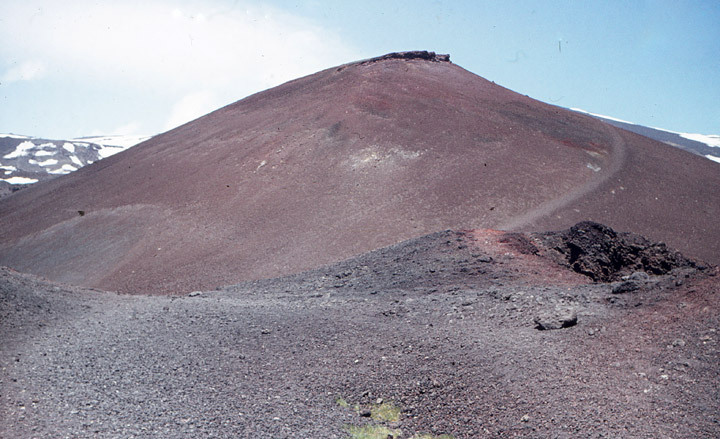 The mountain is an immense cone, with its regularity of outline broken by fissures and some 250 minor cones. 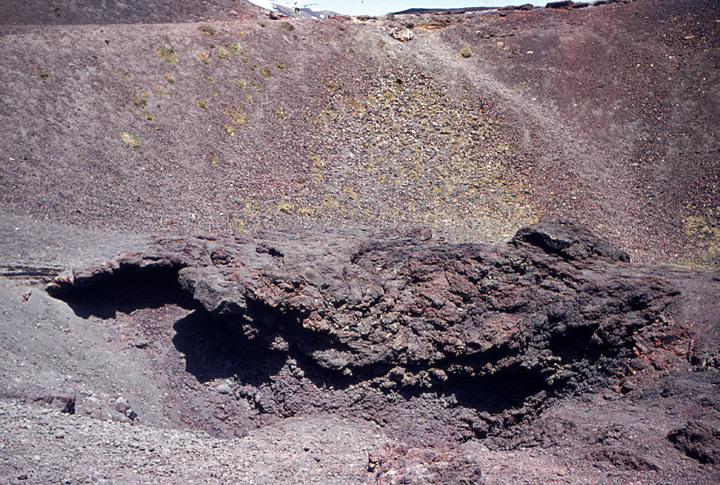 The Valle del Bove, an abyss, 4.8 km (3 mi) wide, on the eastern flank of the mountain, is the original crater, the center of the volcano having shifted to form the present crater on the summit. 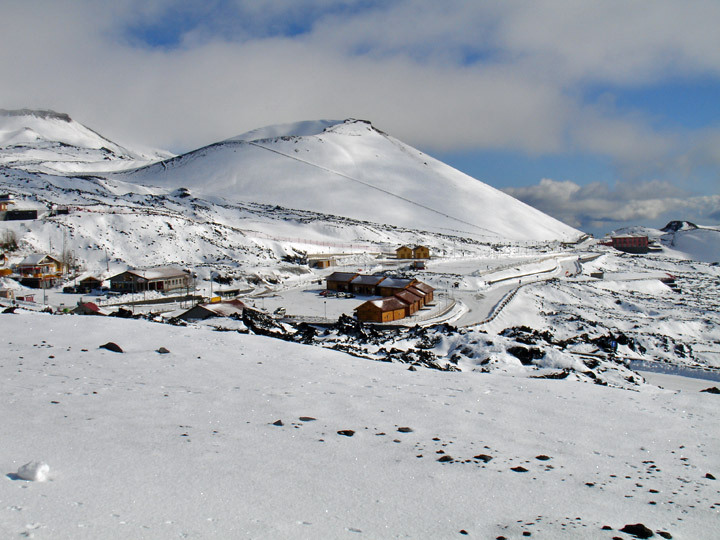 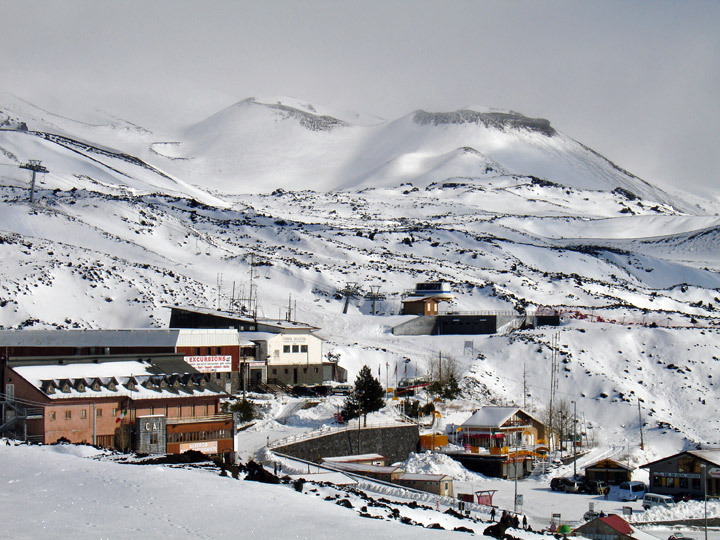 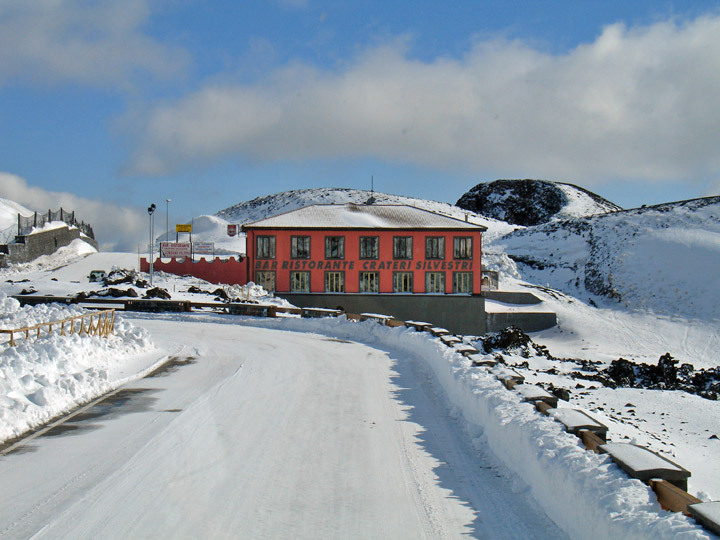 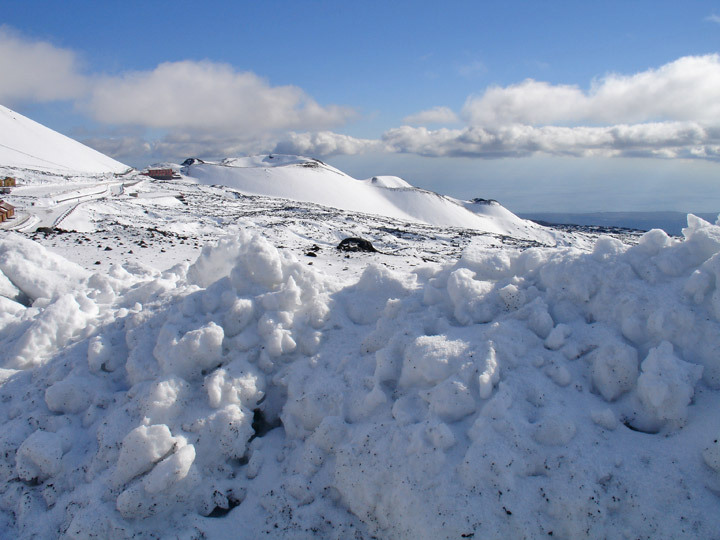 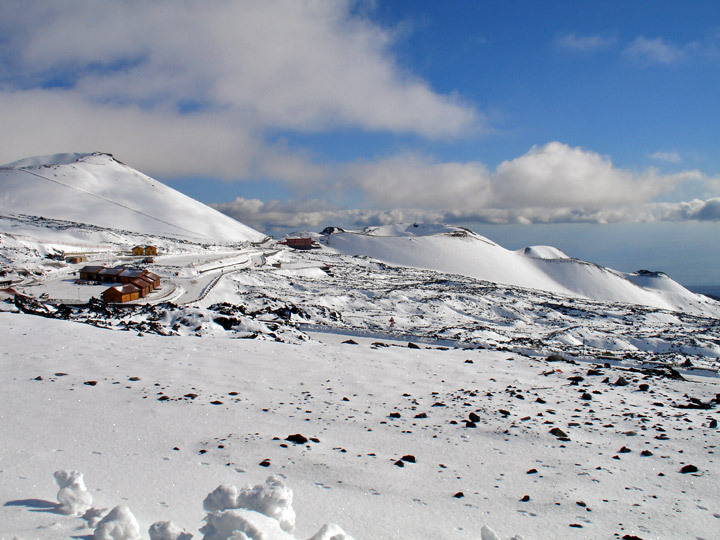 The slopes of the mountain are divided into three zones of vegetation: the fertile cultivated zone, which extends to 900 m (3,000 ft); the forested zone; and the desert zone, which extends upward from 1,900 m (6,300 ft), with the highest peaks covered by snow most of the year. 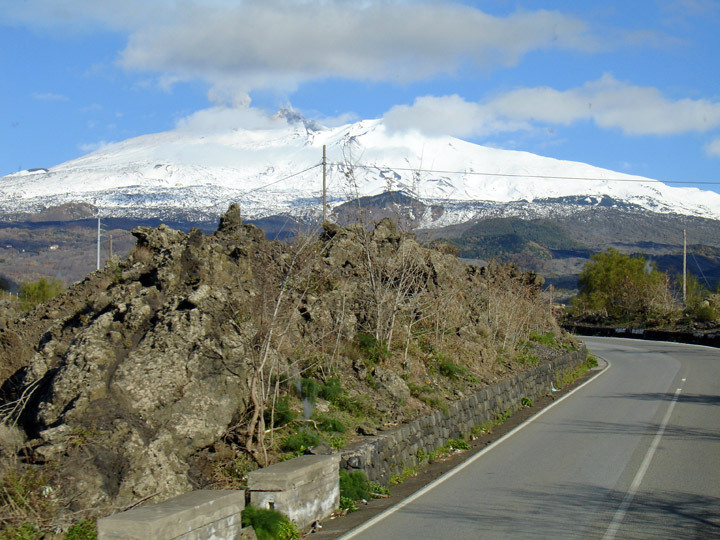 The cultivated zone is densely populated and contains numerous villages and the towns of Catania, Acireale, and Nicolosi. 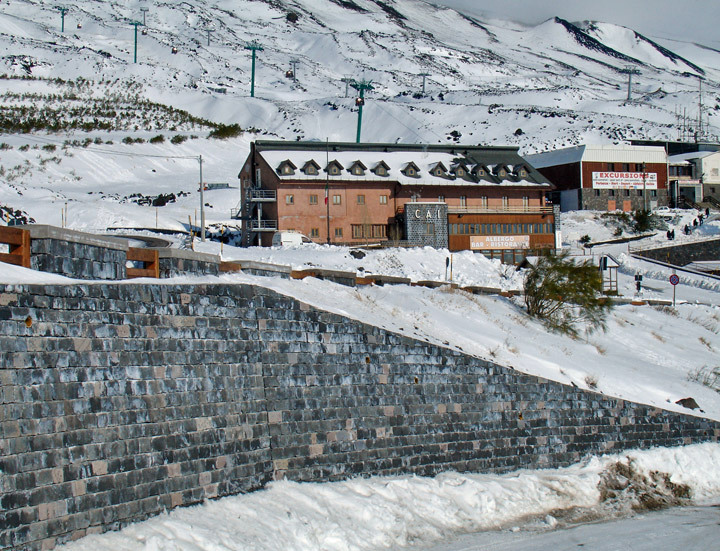 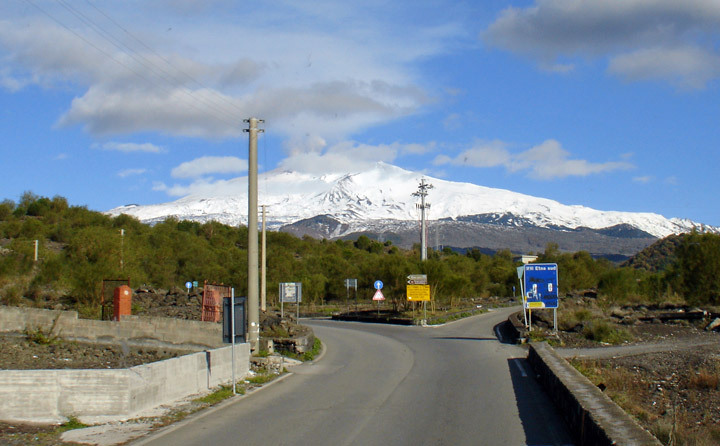 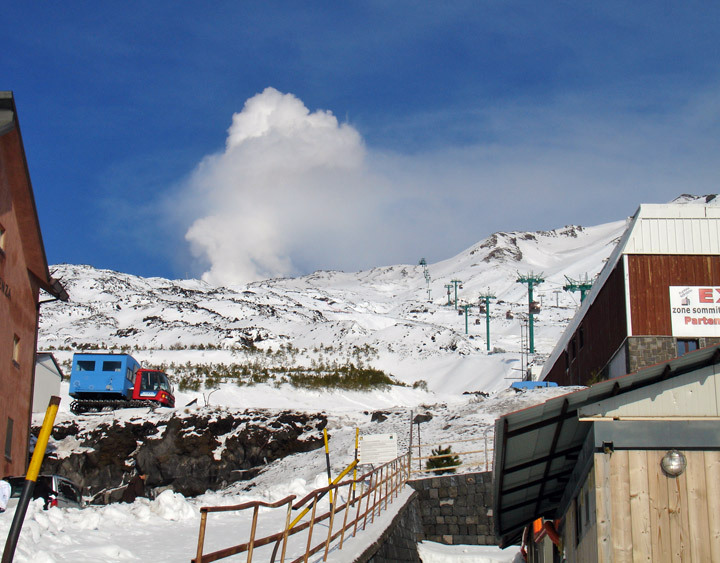 From Catania, the main station on the circumferential railway, a road extends to 1,881 m (6,171 ft) connecting with a cable line that reaches 2,915 m (9,564 ft). 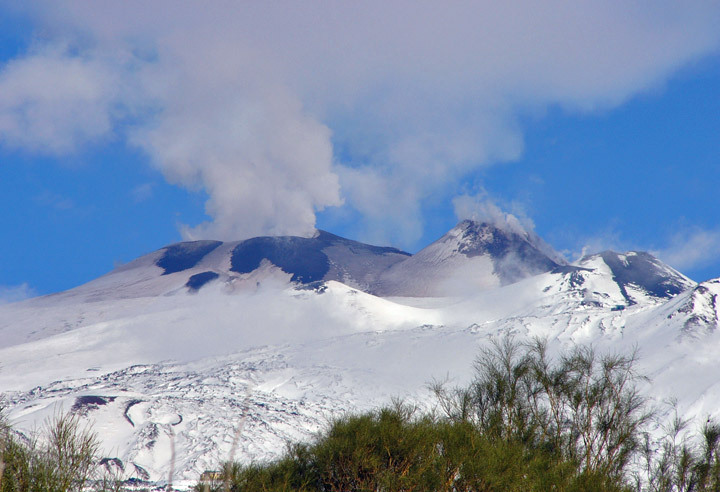 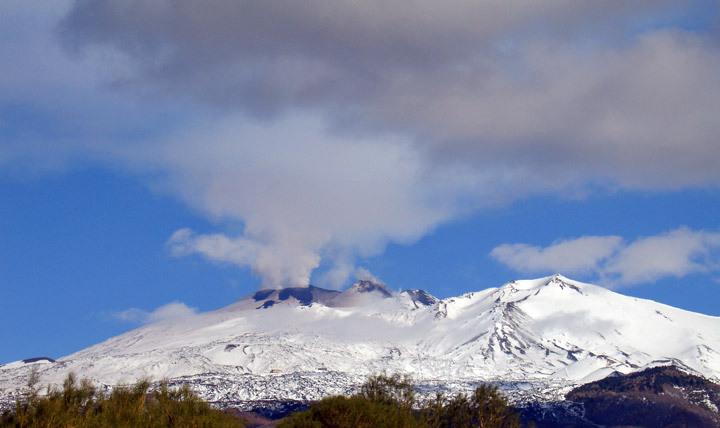 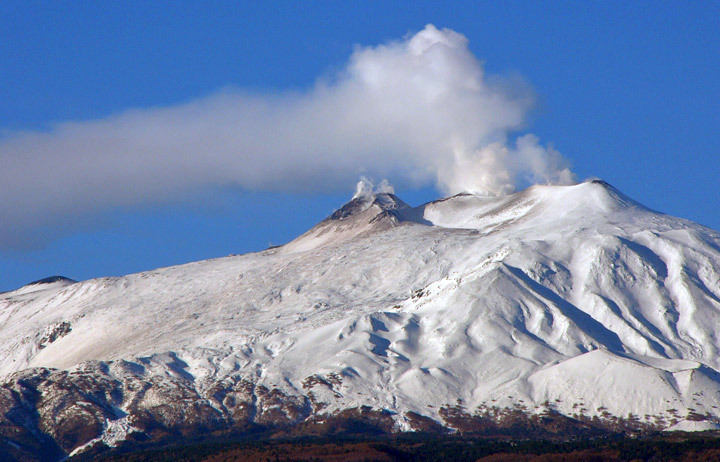 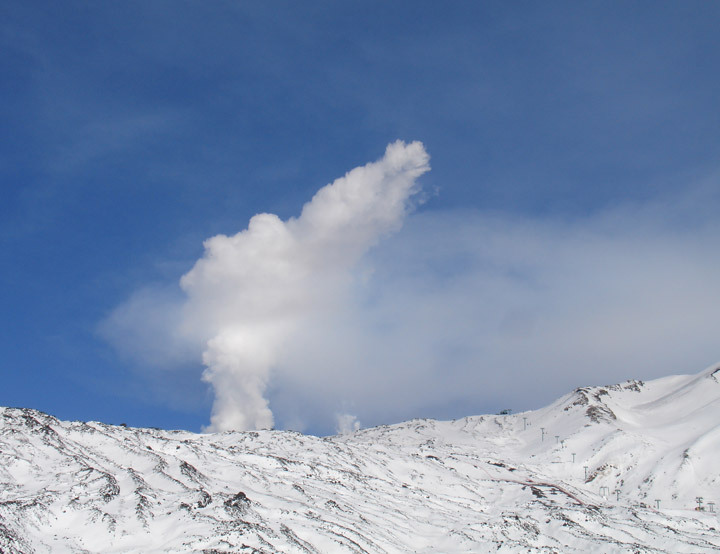 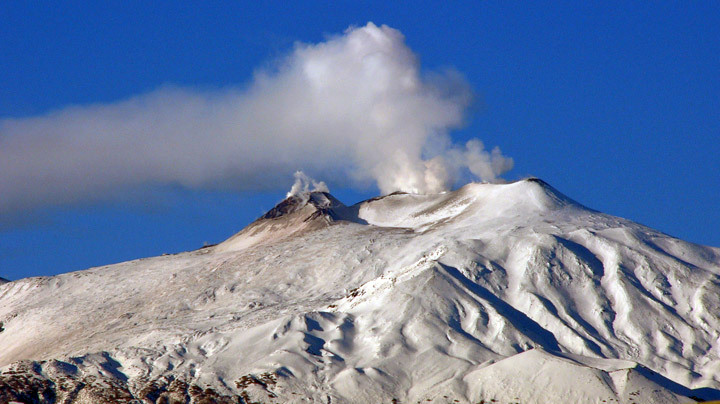 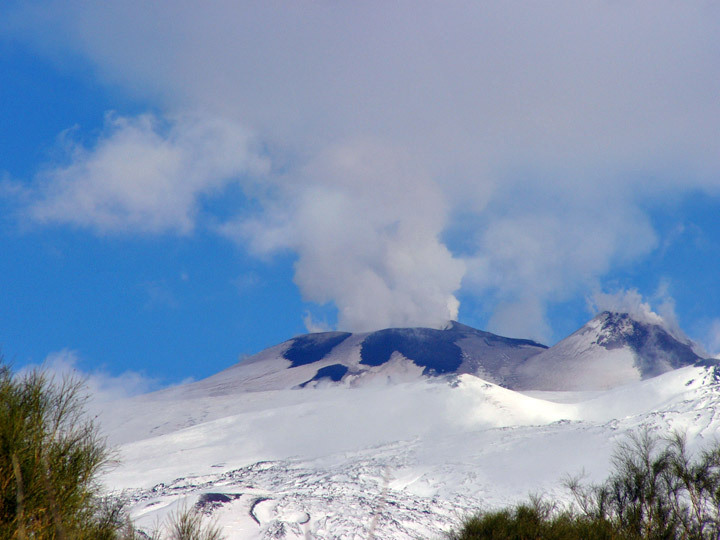 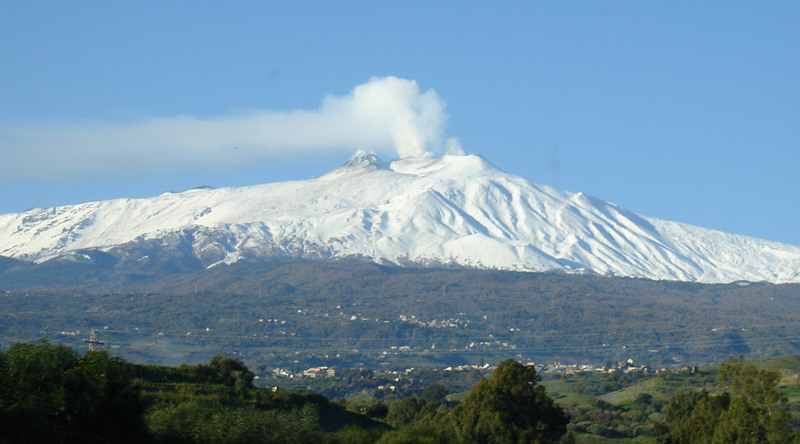 The first recorded eruption of Mount Etna occurred in the 18th century BC, although geological studies show that it was active before that period. 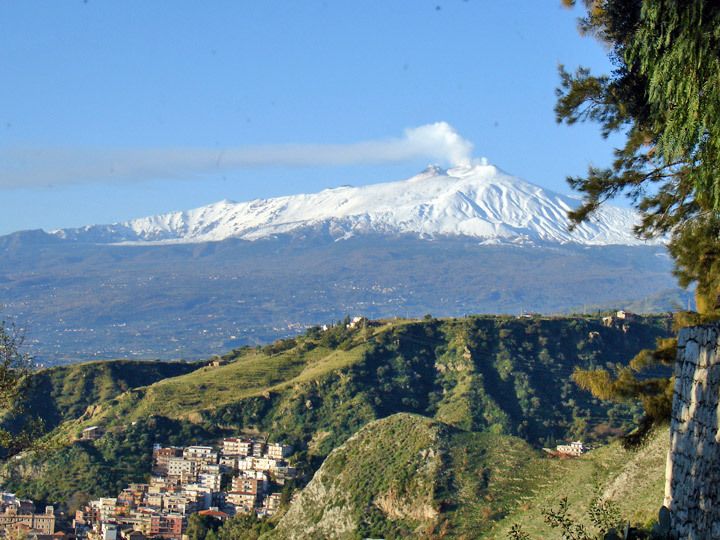 Since then about 90 recorded eruptions have occurred, the most disastrous of which were in AD 1169, when the town of Catania was destroyed with a loss of 15,000 lives, and in 1669, when more than 20,000 people perished. 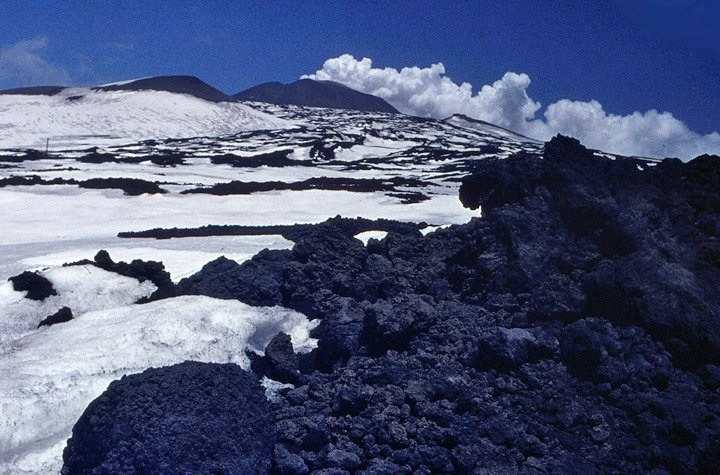 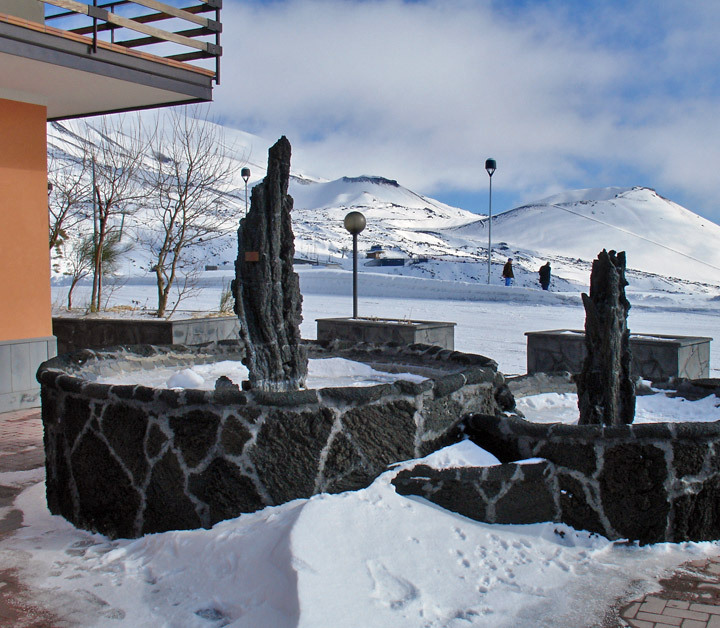 In 1928 two villages were almost completely buried by a flow of lava and in 1947 two new craters were formed by renewed activity of the volcano. 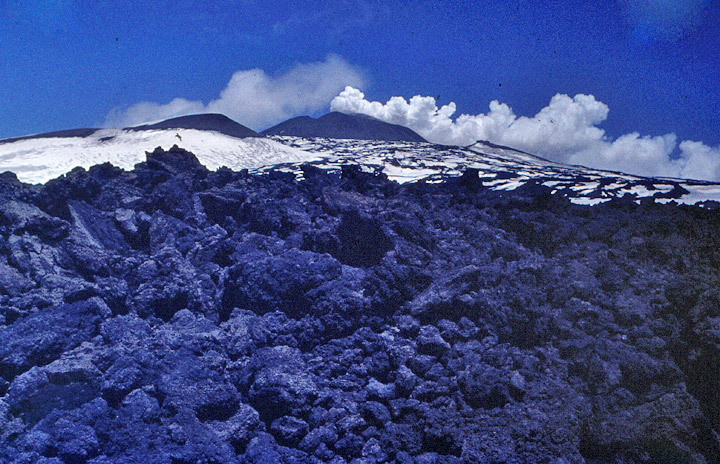 Eruptions also occurred in 1971, 1981, 1983, and 1992.